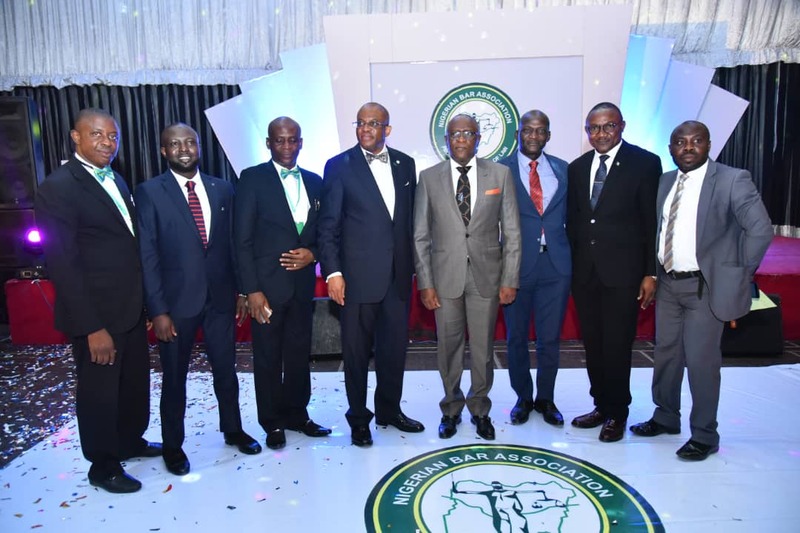 As the quarterly meeting of the National Executive Committee (NEC) of the Nigerian Bar Association (NBA) concludes in Abuja, the writer considers it necessary to take another look at some of the successes already recorded by the Paul Usoro-led NBA leadership between the time it came into office in August 2018 and March 2019, with a view to determining to what extent Mr Paul Usoro, SAN, has fulfilled his promise of presiding over a purpose-driven, result-oriented, responsible and responsive leadership of the NBA. 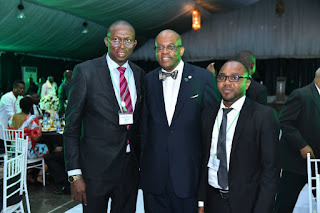 It would be recalled that towards his aspiration to lead the Nigeria Bar as its President for the period, 2018 to 2020, Mr. Paul Usoro, SAN, had during the electioneering campaigns leading to the 2018 NBA national elections, presented a well laid-out manifesto and action plan to try to convince Nigerian Lawyers to afford him the opportunity to serve. The PUSAN Manifesto, as it was popularly called, was designed to pursue aggressive institutional development and regulatory reforms within and outside the NBA; to put in place a solid framework for human capital development and welfare programmes that would impact positively on the lives of Nigerian lawyers and the legal sector as a whole; and to promote rule of law and good governance in Nigeria. The PUSAN Manifesto came with the motto: Putting You First. With respect to institutional reforms, the major action plan the PUSAN manifesto intended to adopt in order to enhance efficiency in NBA operations, engender confidence and trust among NBA members, and increase the moral equity of the organization included the following: professionalizing and strengthening NBA’s National secretariat and entrenching corporate governance rules and etiquette in financial management; upgrading organizational capacity of the various NBA Sections, reforming NBA’s electoral system and succession plan and branch administration, establishing NBA liaison offices in Lagos, Port Harcourt and Kano, opening new vista for revenue generation in the interest of the NBA. Paul Usoro’s promise of regulatory reforms was hinged on his promise to get the Legal Practitioners Act repealed and re-enacted to improve its effectiveness, to review the RPC, to embark on aggressive advocacy for incorporation of pupillage and mentoring into the curriculum of the Nigerian Law School, to partner with the National Universities Commission and Faculties of Law of Universities towards a proactive review the LL. B curriculum, and to reform NBA’s complaint, investigative and disciplinary channels and processes. And regarding the aspect of the PUSAN Manifesto related to human capital development and welfare programmes, Paul Usoro’s plan was to pursue and secure and an all-inclusive-bar, explore ways of overhauling the entire framework for legal training in Nigeria with a view to meeting up with international best practices in the profession, reform and rejig the Institute of Continuing Legal Education to be better positioned to achieve its core objectives, and establish a model Law Office at NBA’s national secretariat, among others. Furthermore, the following schemes were proposed to enhance the welfare and wellbeing of lawyers in Nigeria: capacity building and job creation for young lawyers, exposure and tightening of noose against quackery in the profession, development of verifiable database for lawyers in Nigeria, provision of business education and investment planning opportunities. Meanwhile, promotion and sustenance of rule of law, good governance and strong constitutional democracy remained a major plank upon which the PUSAN leadership philosophy was promoted. Specifically, this philosophy was founded on the following objectives: enhancing speedy and affordable access to justice, respect of human rights and obedience for court orders, checking executive lawlessness and impunity, promoting and advocating respect for independence and financial autonomy of the judiciary, promoting the pro bono concept in deserving circumstances, advocating the domestication of provisions of the Administration of Criminal Justice Act, 2015 to the state level. And to promote good governance, it was Paul Usoro’s plan to set up a strong team to monitor the conduct of the 2019 general elections and performance of election tribunals at the various levels, to put in place an advocate masterplan on strengthening legal and institutional framework for the anti-corruption crusade in Nigeria, and to contribute to building a stronger, credible and effective electoral system through voter education electoral reforms, among others. 1. Corporate Governance: The first major step the Paul Usoro leadership took on taking over the affairs of the NBA as its president was to fully incorporate all aspects of core corporate governance structures and rules into the management of the NBA, and to instill fiscal transparency and leadership responsibility in the association’s affairs. At the NBA Secretariat, it is no longer business as usual! 3. Domestication of the ACJA, 2015: Collaboration with MacArthur Foundation towards realization of the proposed domestication of the Administration of Criminal Justice Act (ACJA), 2015 in all states of the Federation of Nigeria. 4. Promotion of Rule of Law & Fight against Executive Lawlessness, Arbitrariness and Disobedience of Court Orders: NBA no longer sits on the fence! The PUSAN Leadership has energized and resuscitate the traditional role of NBA as the watchdog of Nigeria’s constitutional democracy, having the responsibility of promoting and sustaining independence of the judiciary, separation of powers and supremacy of rule of law. NBA can now be truly called fearless judging from its sustained and consistent efforts in speaking up and fighting against arbitrariness, lawlessness and abuse of power. This is manifest in the running battle the NBA leadership has waged against executive lawlessness, disobedience of court orders, contempt of court, to name a few. 6. 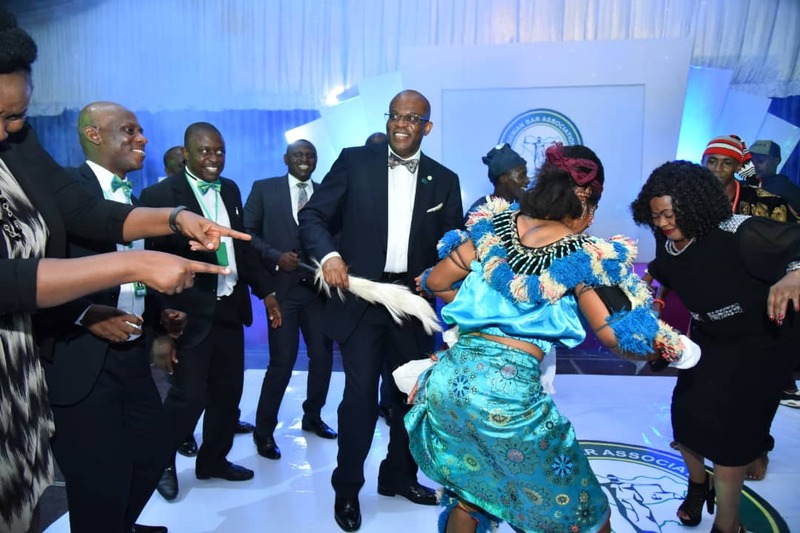 Paul Usoro SAN was recently appointed a member of the Presidential Implementation Committee on Autonomy of the State Legislature and State Judiciary in accordance with the 4th Alteration of the 1999 Constitution. (See http://loyalnigerianlawyer.com/paul-usoro-appointed-as-member-of-committee-on-judiciary-legislature-autonomy/) As a member of the Committee, the PUSAN Leadership plans to bring its experience and drive into the Committee’s work with a view to ensuring that the best is achieved in line with the core objectives of the Committee. Besides, it is an opportunity to showcase some of the relevant items in the PUSAN Manifesto with a view to implementing them in the interest of Nigerian Lawyers and Nigeria as a whole. 8. Financial & Human Resources Audit of NBA: The PUSAN Leadership of the NBA has successfully undertaken both financial and human resources audit of the NBA to forestall leakages and waste of resources -- human, material and financial resources. This has saved millions for the NBA. 9. Prompt Delivery of Stamp & Seal: Delivery of stamp and seal to applicants is now completed within a maximum of 14 days from the date of payment, and all complaints are resolved within 48 hours of receipt, unlike in the past when it took months to get the seal already paid for by verified legal practitioners. 10. Seamless Interaction of the National leadership with Branch Chairmen: The PUSAN Presidency has established a platform to interact with all branch Chairmen and secretaries of the NBA across Nigeria for a seamless and more effective administration of the branches, prompt feedback and reporting. 11. Response to Unjust or Illegal Harassment of NBA Members: The Paul Usoro-led leadership has successfully waded into and resolved all reported cases of harassment of Nigerian Lawyers in the course of their lawful discharge of the professional responsibilities. NBA has on many occasions risen in defence of members of the legal profession who are unlawfully harassed by security agencies. The motto for the PUSAN presidency in this regard is “An attack against one lawyer anywhere in Nigeria is an attack against all lawyers in Nigeria and attack against NBA itself.” Hence, NBA would never fold its arms and watch any member either of the Bar or of the Bench to be illegally harassed or victimized! 12. Curriculum Review in the Nigerian Law school: The PUSAN leadership has begun relevant negotiations with the Management of Nigerian Law School towards a review of the School’s curriculum with a view to inculcating pupillage and mentoring as promised in the PUSAN Manifecto. 13. Quality Appointment & Representation at Panels, Regulatory Bodies and Government Agencies: With the inception of the PUSAN presidency efforts are made on each occasion to ensure that NBA members appointed or nominated to represent NBA in Government Committees, Panels, Regulatory Authorities and Agencies are lawyers of proven integrity with established and acknowledged expertise, instead of the attitude of just re-cycling of bar men. Apart from being a giant step in the right direction, in the spirit of having square peg in a square hole, with a view to ensuring that the NBA is competently represented in such bodies, such innovative step leaves quite a refreshing difference in the quality of contributions made by these nominees and appointees. 14. 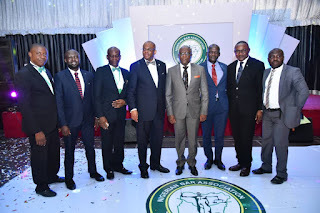 Independence of the NBA: To ensure that NBA remains independent, and free to pursue and fulfil its core mandate, the Paul Usoro leadership has put a stop to the hitherto rampant attitude of NBA national Leadership accepting State Governors’ offer of sponsorship of NBA National Executive Committee (NEC) Meetings in a manner that forced the NEC meetings to rotate around different venues and places in the country, while the NBA House, a giant architectural edifice located in the heart of Abuja, FCT, lies fallow. NBA under Mr. Usoro, SAN, has now insisted and ensured that NBA NEC Meetings are held in the NBA House in Abuja. Apart from several other benefits recorded with this innovative prudent step, this has also contributed in extricating the NBA from its previous attachment and hobnobbing with various State Governments in a meaner that constituted a sort of hindrance and also made NBA less free and independent-minded to pursue its goals. 15. 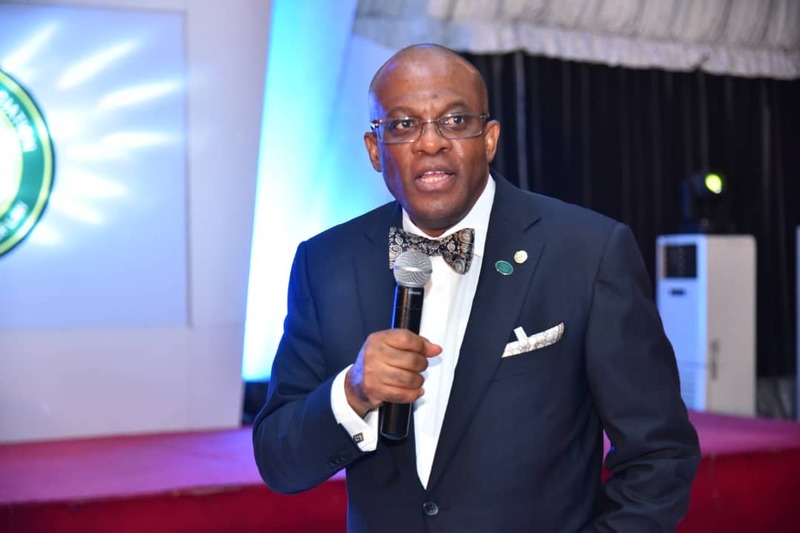 Cost Management: The Paul Usoro Leadership has completely trimmed the huge workforce at the NBA Secretariat in Abuja, as well as put in place measures to ensure considerable reduction in waste of resources. The decision to permanently hold NBA NEC meetings at the NBA House is one of such measures. Finally, to all Nigerian lawyers, fellow NBA members, we must remain together in love and peace, cooperating with and advising our leaders, on how to make the NBA better and greater, with a view to elevating the NBA to a level where it becomes the cynosure of all eyes, a leading light, and a perfect example for other sectors and professional groups to copy from. We are not yet where we ought to be. But with the innovative and result-driven leadership of Mr. Paul Usoro, SAN, we sure have left where we used to be. With all hands on the deck, we would get to the promised land. United we stand!